It’s summer time and Milwaukee is filled to the max with outdoor fun and festivals! It’s so tempting to over-indulge in sun, alcohol and heavy foods. Here’s how you can take advantage of summer fun, and not forgo a healthy lifestyle. It’s all about moderation and balance. 1. Avoid heavy, greasy food that slows down digestion. 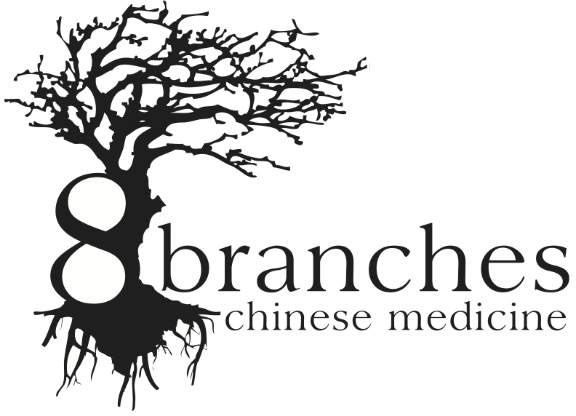 If you are going to indulge, try pairing your meal with a digestive enzyme product or an herbal formula to prevent indigestion or “food stagnation.” Bo He Wan is an excellent help, great for travel and days of celebration or festival eating. 2. Rise early and take advantage of they daylight. Summer is the time for activity as the yang energy is at it’s peak. Allow that be your motivation to go, go, go! But, as with any time of year, take time to find peace and be sure to quiet your mind well enough before bed. Night time is the yin time and if you find yourself too restless, warm or sweating, it may be a sign of imbalance or depletion. Remember to take time to take care. 3. Take a hot shower or drink warming teas. Really? Yes! It seems counter-intuitive as we search for things to cool us down, but these are great ways to promote sweat. Sweat is the body’s natural cooling mechanism. Add a bit of fresh ginger, black pepper or cinnamon to warm things up gently. 4. Stay active! There are so many ways to get out and have fun as a family during the summer. Spend a day at the beach or park, enjoy yoga, bike rides, one of the many 5K charity runs, or hike on one of Milwaukee’s great trails. 5. Eat cooling foods and be sure to steer clear of too many iced foods/drinks (like iced water and ice cream). Instead, try watermelon, mint, cucumber and lemon/lime- you can add any of these to your water. It’s no coincidence that these foods are in season. Enjoy and be sure to stay hydrated. 6. Peppermint – Did you know one drop of peppermint essential oil equals 28 cups of peppermint tea? Therapeutic grade essential oils are strong and can be a convenient way to promote wellness at home. We carry doTERRA and our own 8 Branches brand of oil blends. Learn the basics for EO use to keep your medicine cabinet full of natural solutions. 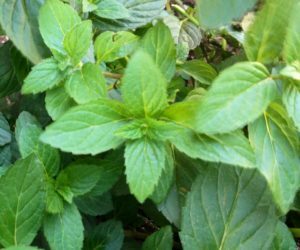 Peppermint aids digestion, calms headaches and cools down sore muscles. We reserve use to topical application, diluted in a carrier oil. 7. Keep skin glowing with coconut oil – a light, neutral, moisturizing oil with so many uses. Use it in your skillet, in your smoothies and even as a light sunscreen. Coconut oil is SPF8, which is nice for every day running around. If you plan to be out longer, be sure to use more protection. If you suffer a little burn, a bit of coconut oil or vinegar soothes the skin. Add lavender or tea tree to your coconut oil to help with redness, itching or inflammation. 8. Find peace of mind – take a break to relax and calm your mind. Acupuncture can be helpful to ease anxiety and settle the spirit, but acupressure can be just as useful. Points like yintang and PC6 are especially calming. Psi (sigh) bands can be worn to apply even pressure to PC6 (inner wrist)- a very clever way to apply hands-free acupressure. Products like psi bands and seabands are typically worn to help those with motion/morning/sea sickness, but you don’t have to be nauseous to use them. Wearing acubands or ear seeds to calm the mind and reduce anxiety can be a useful self-care practice. Ask us to demonstrate next time you’re in the office.